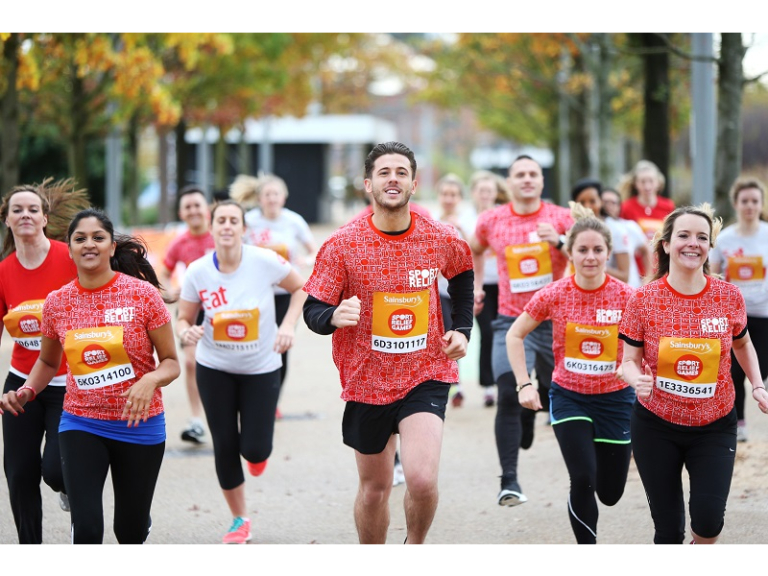 Local heroes from Epsom & Ewell and surrounding areas will be walking and running themselves proud during the Sainsbury’s Sport Relief Mile to raise life-changing money for Sport Relief 2016. The colourful, cheerful and eager Milers will be doing their bit to make a difference to people living across the UK and the world’s poorest communities. Setting off from near to the front of the Mansion House, the Nonsuch Park Mile is a mile long loop running through the park and is set to be an incredible event. The Nonsuch Park mile will be setting off in four waves - 10.30am, 12noon, 2pm and 3.30pm. Super sprinters and willing walkers will all feel at home with a choice of one, three or six miles. There will be live music, refreshments and the British Military Fitness Team on hand to help create a great atmosphere. Fringe activities will also be available including challenges from Better, the headline Fitness Sponsor. And let’s not forget Derby the Horse, Epsom & Ewell’s resident mascot, who will be there to cheer and support all our wonderful milers! Councillor Jan Mason, Chairman of the Leisure Committee said: “The Sainsbury’s Sport Relief Mile in Nonsuch Park is here and it’s your time to walk or run yourself proud. From little ones with their mums and dads, to runners up against the clock there’s something for everyone to make themselves feel proud on this special day. “It is set to be a great sporting weekend, with the Sport Relief Swimathon on Saturday 19 March at the Rainbow Leisure Centre. Whether you swim, walk, run or hop your way for Sport Relief, every effort counts”. On Saturday 19 March, Rainbow Leisure Centre in Epsom is once again hosting the Sainsbury's Sport Relief Swimathon where you can dive in and take on one of three challenging distances, either individually or as a team - 1.5km (60 lengths of the 25 metre pool), 2.5km (100 lengths) or 5km (200 lengths).